On a mild Saturday night a few weeks back, I went with a good friend to Donovan’s on Prospect Street in LaJolla. What a terrific place, one of those classic American steakhouses we can’t seem to get enough of. It got me thinking about the strange similarities shared by steaks and stocks. A steak that costs more than 50 bucks strikes me as a bit over the top. So does a dividend stock with a 10% yield. A little rich for my blood. So let me ask you a few questions. How high is too high? What do you think high yield is? A dividend stock that pays more than 5%? More than 10%? Can we split the difference and agree on 7.5%? We’ll have a great steak, maybe a few cocktails, and look at dividend stocks for safety. Earlier this year, before the markets were roughed up, my associate Michael Jennings looked ahead, didn’t like what he saw, and revealed the best dividend growth stocks for uncertain times. Good advice then, and good advice now. Chasing high yield never seems to work out. It’s always smarter to take the lower yield and latch onto a stock that will keep growing its dividends year after year. That’s the safe move. But even when you find a dividend stock in a good position to keep growing the dividend, you can hit some rugged headwinds. You can feel like the guy at the steakhouse who’s handed a bill he wasn’t quite expecting. Investors in one of the top pharmaceutical stocks felt like this a few weeks ago when Eli Lilly $LLY shares sank 7.8% in just one day. We’re not talking about a wild, speculative microcap. Lilly has been in business since 1876. It’s been a decent dividend stock for years. The dividend has been growing steadily. Ten years ago, the quarterly dividend was $0.38. Now it’s $0.50. Not spectacular, but steady. And there hasn’t been a dividend cut since 1996. Why isn’t Eli Lilly feeling well? What sent the stock into cardiac arrest earlier this month? The company was exposed as a one trick pony. It wasn’t diversified enough to protect against a setback. On October 12, word came out that Lilly was pulling the plug on an experimental heart drug. In a matter of hours, the value of the company plunged by $7 billion. Investors took a terrible hit when Lilly stock plunged from $86.35 to $76.35 in one dismal day. Investors looking for dividend growth from Lilly are on hold, not exactly thrilled with the $90 million pretax charge for shutting down development of its evacetrapib drug. The key is diversification. Lilly hasn’t been actively acquiring other companies. It’s not exactly a poster child for expanding its lineup of products. The product development pipeline isn’t nearly as full as it should be with new drugs. Tough to say, but dividend growth is probably at risk. When you can’t see how revenues will grow, you can’t see how dividends will grow. It’s like the line from the old Sinatra tune, “Love And Marriage”. So when you’re looking for the best dividend stocks to give you some safety, look at how well the company is diversified. Don’t ride the one trick ponies. But don’t go overboard. A drug company that makes luggage probably isn’t going to do well. Conglomerates have a way of flaming out. Look for a company that sticks to a business it knows, makes smart acquisitions, and introduces complimentary new products. Want another way to find the best high yield dividend stocks for safety? High yield dividend stocks come and go. You and I can go find dozens of stocks that pay a double-digit yield. It’s easier than finding a steakhouse. And here’s something else that comes and goes… the size of the dividend payment. Some companies don’t worry about dividends that rise and fall. It’s the nature of the beast, because the size of the dividend payment reflects the fortunes of the company. Consistency isn’t important to this kind of company. It’s built to do something else. One of the big name, high yield dividend stocks right now is The Blackstone Group $BX. Blackstone pays a yield of 8.92%. It’s an investment banking firm that owns an intriguing collection of assets. Blackstone is the world’s #1 alternative investment firm. It focuses on private equity, hedge funds, mergers and acquisitions, and private placements. A bunch of complicated financial stuff most of us will never completely understand. But it does own some meat and potatoes assets, including Motel 6. Should you buy Blackstone stock if you’re looking for some safety with a high yield? If you don’t mind dividends rising and falling like the fortunes of the Dallas Cowboys, sure. Just don’t invest in Blackstone if you want a consistent yield. Last year, it cut the quarterly dividend from $0.55 to $0.44. Fortunately for investors, the dividend went back up. It paid an $0.89 dividend in May. Then, in September, it was back down to $0.74. Is now a good time to buy Blackstone? If it runs into some financial headwinds, it’s got plenty of assets to sell – especially real estate assets – to keep the balance sheet clean. There you go… two ways to lower your risk when you’re looking at the best dividend stocks for high yield. Be careful when a company puts too many eggs in one basket. And if you’re looking for income you can count on, make sure the dividend payments are consistent. High yield dividend stocks have a way of drifting in and out like trendy restaurants. No wonder a classic steakhouse will outlive the place that serves up Afro-Caribbean fusion. Note: Paul Duke writes and edits DividendStocksResearch.com. 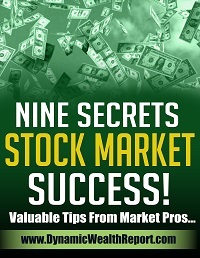 Sign up for our free dividend reports and dividend newsletter at http://www.dividendstocksresearch.com/free-sign-up. We’ll show you how to create regular income by investing in dividend stocks, easily, step-by-step.